RVView is a wall mounted 12V battery monitor. 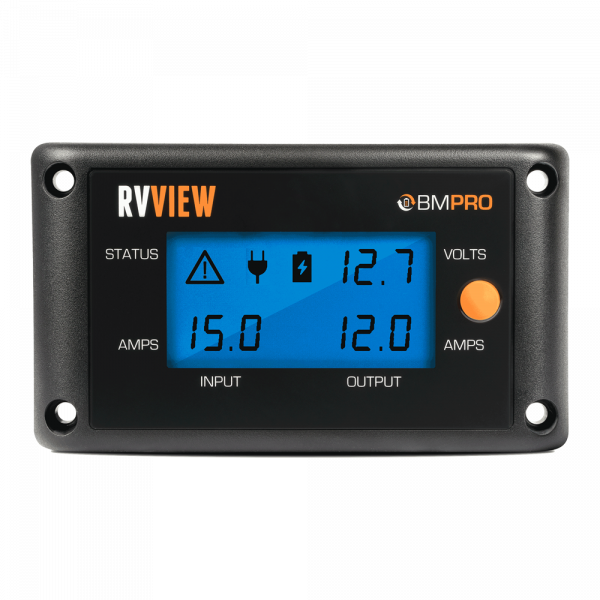 BMPRO designed RVView to work as a part of battery management system BatteryPlus35. 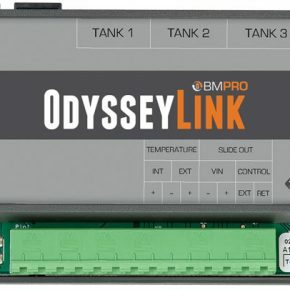 The RVView connects to the BatteryPlus35 via a data cable. 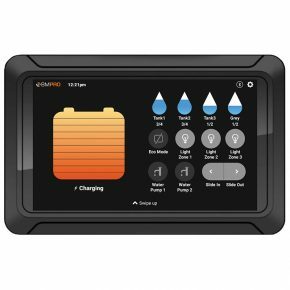 The monitor gives you vital up-to-the-minute data about your caravan’s current status using a clear back-lit display. 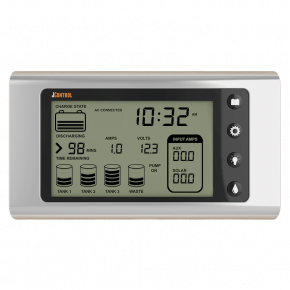 As a power saving feature, the display will turn off automatically 30 sec after its activation. Input Amps shows the total current going through BatteryPlus35, while Output Amps shows the current provided to appliances. 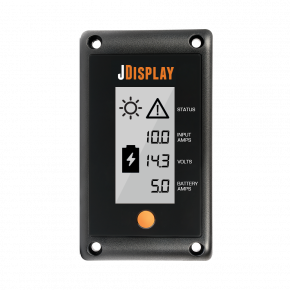 Input source indicator displays mains, solar, auxiliary, or two simultaneously present power sources, if available.